Businesses are always keen to know about their competitors marketing activities and how much they’re spending. I often come across blogs and forums where marketeers ask the same question: ‘Does anyone know of any sources for gathering paid search advertising spend for competitors?’ PPC spend on campaigns seems to be of particular interest. There are tools that provide a variety of information but if you try to estimate your own campaigns and compare the estimates with the real information, you will find out that the results are completely inaccurate. The best you can get is a very ballpark range of spend, but nothing that can be used as a bulletproof source. Which tools to use to find out competitors keywords and ad copy? It’s no secret that most of the analytics tools have their limitations and are flawed in some way. SEMRush, SpyFu or KeywordSpy are good for researching competitors keywords, keywords ad positions and even ad copy but none of these tools give accurate information about competitors spend. Which tools to use to compare average positions? Google AdWords Auction insights report is pretty good, letting you compare your performance with other advertisers who are participating in the same auctions that you are. With the Auction insights report, you can see how your impression share, average position and other statistics stack up in relation to those of other advertisers. However it will not show you competitors total spend because it only compares performance and spend for campaigns, ad groups and keywords you have in common that meet a minimum threshold of activity. So if you bid for red balloons and yellow balloons keywords while your competitors’ bid for yellow balloons, green balloons and blue balloons keywords, the auction insights report will only show you the performance comparable for yellow balloons keywords. Google AdWords Auction Insights report will not show you the overall competitors’ spend. What tool to use to find out the total competitors PPC send? Hitwise will return a list of websites with their paid search share in the ‘Property’ industry. My website is number 4 in the list. During the reported period of time my media spend was £36,879.88. These approximate figures should give you a good sense of who’s spending what and help you gauge your competitors’ level of aggressiveness, but they should not be used as exact science. Htwise isn’t always accurate, they collect aggregate usage data from a geographically diverse range of ISP networks, representing all types of Internet usage, including home, work, educational and public access. The data is then weighted to universe estimates in each market. So although Hitwise data may not be completely accurate, this method still offers the best estimation of the overall competitors PPC spend. If you know of any other more accurate ways to find out competitors PPC spend, please share your ideas with me in the comments. Hi Polly, thanks for the article. Estimating spend is notoriously difficult but it can be done… your “balloon” example perfectly demonstrates why most tools generate wildly incorrect estimates. Full disclosure: I’m about to plug the product I work on, Adthena. My opinion may not be neutral but it is with the best of intentions! Adthena estimates spend using a complete universe of relevant keywords (not just your own keyword set, as in your balloon example or Auction Insights). As far as we know we’re the only solution that takes this overhead view but still gives the detailed keyword analysis that Hitwise cannot. We also calibrate against your own data to ensure spend estimates are as accurate as possible. One of the best kinds of PPC ads available today are Google’s remarketing display ads. What’s great about them is that you can segment them by behavior, so if people have been to your home page but not your sales page, you can direct them there. If people land on your shopping cart but don’t buy, you can run ads to send them back to the shopping cart and complete checkout. The power to segment is one of the most powerful advancements in marketing technology in the past century. I didn’t know this when I started but I called Simon (302-401-4478) and I got help. Now I make 22.37% more on my display advertising than I did before and I’ve been selling a lot more product. Semrush and Spyfu both offers good insights about the ad spent by any website. Often you need to triangulate between different sources and using different tools to get an accurate figure. You can also get some insights inside Adwords by using Auction Insight tool to compare performance, then you can apply some of the formulas listed above in this article to calculate an approximate value. I think what is worth while noting whenlooking into software used to identify share of voice (SOV) in the online market place is that companies who diversify into multiple market are particularly hard to compete against. 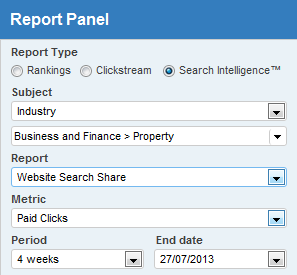 I have used Spyfu in the past but this is a limited software that unfortunately doesn’t allow competitor insight into PPC spend, although great for its “kombat” feature Spyfu is limited to identifying market sectors of larger competitors. Companies such as Barclays who are in multiple markets are positioned better in their SOV due to their much larger coverage across multiple markets. Hitwise does allow this break down but comes at an additional cost to the software. I have come across on my travels Adthena, which seems to be a great tool! Its also gives competitor insight into bidding strategies through a monthly period, allowing for targeted increases in spend in particular times of the month to battle competitors. This is also a great tool to work who is bidding on your branded terms if you work with affiliates.